With immediate notice, Greg Burke and Paloma Garcia Overjero have resigned from the top of Vatican Communications. More to come on this, no doubt. I don't know. I think it's just as likely they were forced out, though I suppose they could have been forced out because their loyalty was starting to be questioned. I am guessing that they were sickened by the disgusting sexual perversion that is rampant in the Vatican. Any reasonable person can also see that this Pope is "off the chain". In charity, I will account it to mental illness, but more than likely, this Pope has a Personality Disorder. If I STOP being charitable....well...I won't go there. A Blessed New Year to all! I know nothing about this, but I suspect anyone who hangs in there this long, since it's been understood for years he's destroying the Church, and doing his best to destroy the faith. Only the truth is charitable here. This is not about psychology....it's about the church's ontological teaching on the human person.....that we have immortal souls with free will.......and PF is as guilty as sin......if he doesn't repent before he dies, his soul will be dammed forever. In case anyone has wondered why there seems to be more sodomites than ever before......Mrs Engel gives an excellent over view of how they are being propagated. She is spot on .I too have read countless testimonials in court from victims who actually say exactly what Mrs. Engel states in this article. Fellow Catholics KNOW NOW that aside from murdering souls , perverted pederasts are propagating more homosexuals ! Yes even Ous Dei spin doctors are jumping the ship like rats as the fire on the barque heats up. 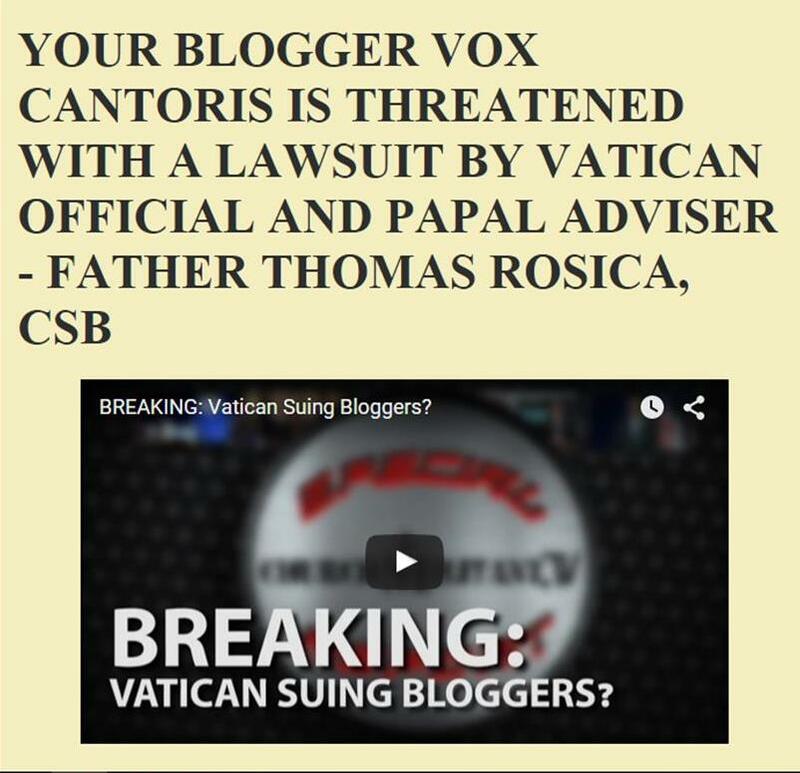 Something big is in the Opus Dei works , none the less it smells of sulphur. It has also been speculated that these two were fired. Of course, the effect will be the same, but the 'motive' lies with the fire-er, rather than the quitters.